Everyone likes to pick up momentos from their travels (well most people do, especially me). 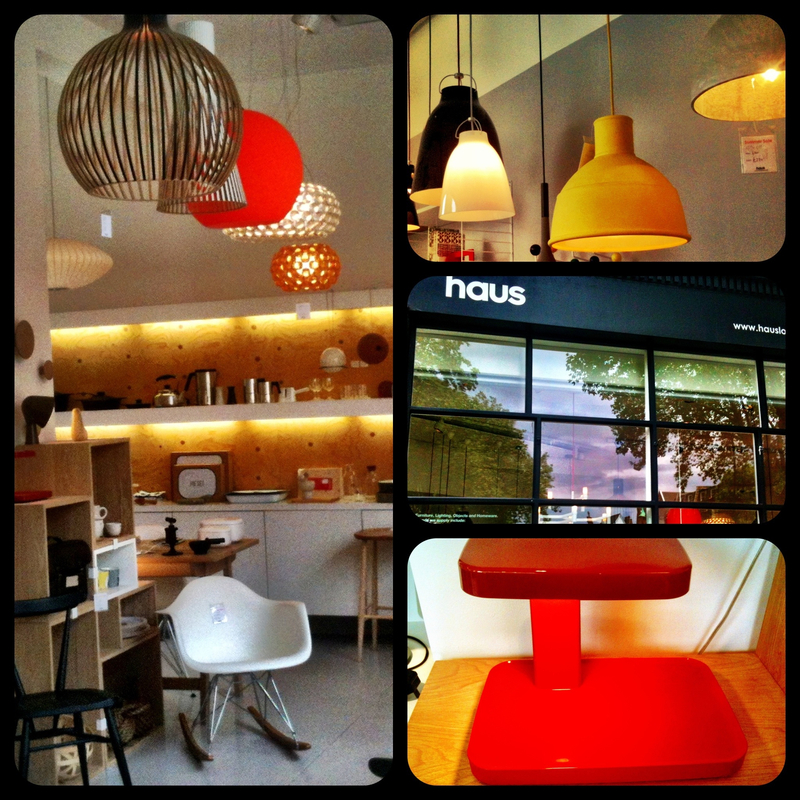 Haus, a tiny design shop right on the edge of Victoria Park in east London, has some beautiful things to remind you of your time in the city. While the shop is small, it is packed full of gorgeous, modern and retro inspired lighting fixtures, furniture, and interesting design pieces. They also have a nice range of things made by local London designers, which I love. I am coveting a few of the dishes and lamps in there after spending some time perusing the shelves recently. If I could, I would furnish my whole house with the clean, modern chairs and couches, and stock my kitchen and walls with the cool clocks and cookware. As far as classic modern design goes, the prices are reasonable, but we aren’t talking bargain shopping here. If you find yourself in the area and you love modern design, take a look.